A professional and fine art photographer for over 30 years, Jack Kotz was in need of an updated portfolio site that would showcase is vast archive of images. The expandable, image heavy design of this website is meant to allow the viewer to engage the images similar to a gallery experience, without being inundated by the text and information for each body of work or image. Kat McIver has a long, incredible resume as a ceramic artist. Recently however, her Spiritkeepers, designed to be reliquaries and vessels for dreams, have emerged as a distinct 'line' of her work. As such, they needed a separate marketing and sales platform. 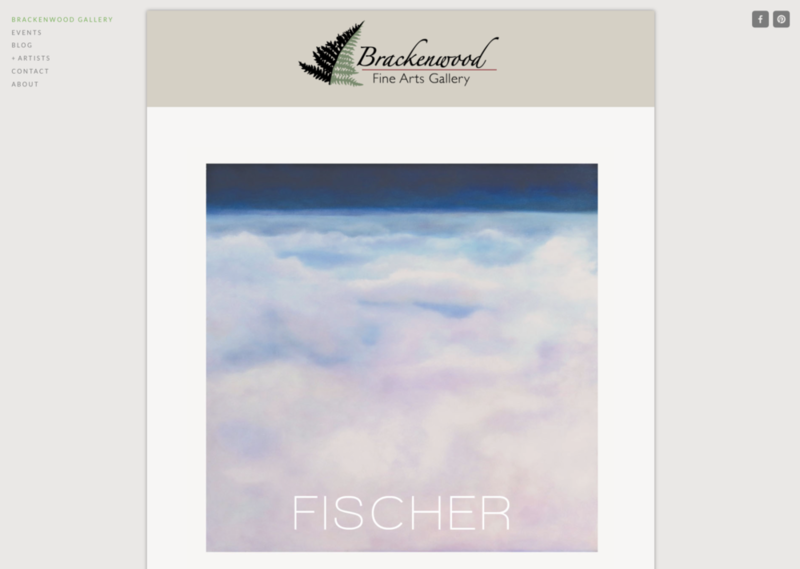 Brackenwood Gallery is an established fine arts gallery on Whidbey Island, WA. Recently coming under new ownership, the old site was in desperate need of a complete overhaul. A full redesign based on the Ventana Fine Art design was the overarching theme, and provided the platform for not only artist's portfolios, but also pages for events, a blog and social media integration. Santa Fe based lighting connoisseur Lette Birn's passion for lighting, design and education was the driving force behind her blog, Light My Nest. She needed a contemporary, clean design to showcase the breadth of her experience in the lighting industry. London based designer and artist George Giancimino needed a new portfolio site to showcase his oeuver of furniture design and highlight his recent sculpture. A bright and clean design that showcases the many works of this artist was critical to the "Form+Function" usability of this site. 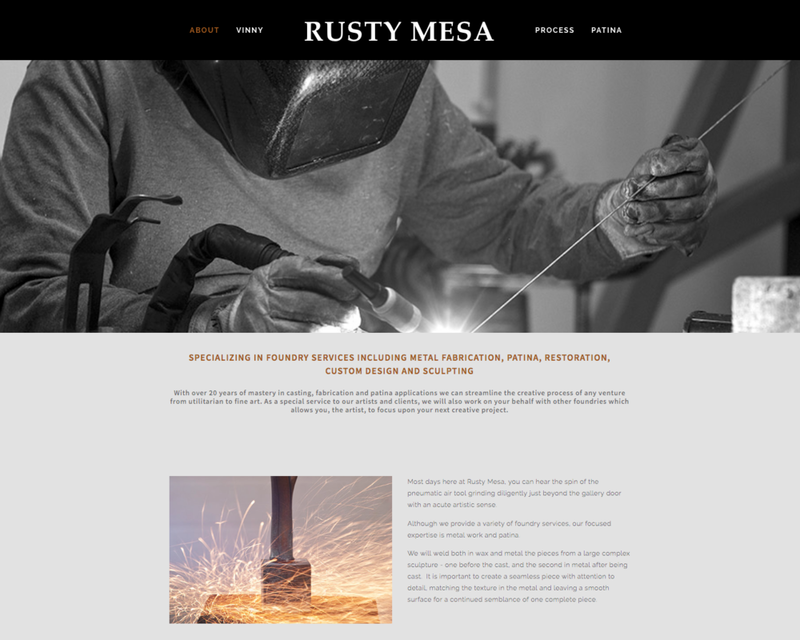 Rusty Mesa, specializing in a variety of foundry services, was in need of a better online presence, one that would engage clients in a largely behind the scenes business. Underexposed decided to take an editorial approach to the project, designing the site and photographing the business in a style that spoke to the content rich environment. Ventana Fine Art, a renown gallery in Santa Fe had a large comprehensive site that had become outdated and cumbersome. The gallery wanted a fresh new design and the site needed to include social media, ecommerce, a blog, their annual show schedule as well as comprehensive bios/portfolios for their ever evolving 20+ artists that could be easily updated in house. This site for Daniel O'Driscoll was a complete redesign from an older site in order to showcase his new and growing jewelry collections. While incorporating eCommerce and social media with the ability to quickly manage and update content as new pieces are created, the site is a catalogue of designs to coordinate featured work with ongoing print advertising. This website was a complete redesign for contemporary artist Tamar Kander. She wanted to move away from an older, less user friendly portfolio site to a new, modern, image driven design with multiple galleries, pages, the ability to edit content herself and the option for social media integration. Mary Silverwood was a prolific and innovative pastel artist who passed away in 2011. Her estate wanted to showcase their extensive collection and back catalogue in a portfolio formatted website that focused on the art and was easy to navigate. 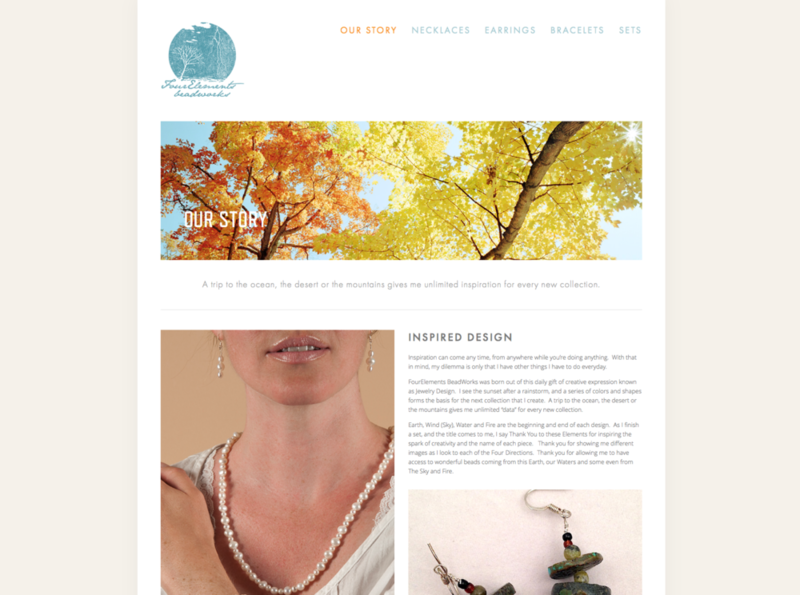 Four Elements BeadWorks needed an eCommerce site with a focus on visibility and ease of use for both the user and the client. This site offers the user an opportunity to not only learn about the jewelry as well as the artist, but to purchase and stay up to date via social media and an email sign up. The logo was developed in house with business cards to complete the identity package.